The United Nations' World Meteorological Organization maintains six lists with 21 names each that are organized alphabetically and alternate between male and female names. 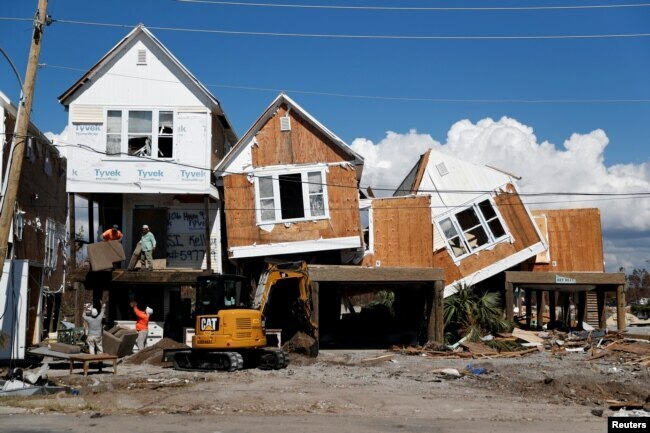 Hurricanes Florence and Michael, which caused widespread death and destruction in the United States last year, have earned the dubious distinction of having their names retired. The National Oceanic and Atmospheric Administration said Wednesday that the two names will be replaced with Francine and Milton, starting with the 2024 hurricane season. The United Nations’ World Meteorological Organization maintains six lists with 21 names each that are organized alphabetically and alternate between male and female names. Each list is used once every six years. The current group goes from 2018 to 2023, with the cycle restarting in 2024. Names are retired when meteorologists determine that a hurricane has been so destructive that reusing its name would be insensitive.